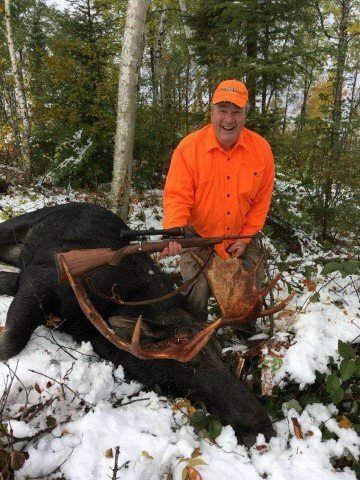 Come experience the excitement of the moose hunt! We offer both bull and cow Moose tags in Wildlife Management Units 3, 4, and 5. Seven day rifle and archery hunts are offered during the season. • License, Export Fee, Skinning, Guide (note: guides hire out at full week rates – no daily rate), All Gas, Minnows, Land Transportation.